My ongoing personal inquiry is teachers and how they share their learning. I was really excited to join Arjana and Bart @abfromz @BartVerswijvel and six other global educators on Tuesday 26th of April for a global networking seminar as part of their programme for European teachers called The Networked Teacher. When Shelly opened the session, we had both Arjana and Bart on screen and I was reminded about our history of connections through the TeachMeetINT virtual sessions that we took part in a few years ago. Bart had this cow bell that he used as a timer. That bell was an awesome timekeeper and we tried hard not to hear it. I shared parts of my ongoing personal inquiry but from my perspective of how I built my professional learning network. I was asked to focus on my New Zealand connections so was extra excited to share about our part of the world to European educators in the eTwinning programme. The hashtag they use is #etwion. The session took place at 5.00am in our New Zealand time zone. You can check out the hashtag and see what the attendees are learning. I built the slides over a few days. An event like this allows me to reflect on where I am as a learner and from listening to other global educator stories inspires me to set new digital learning goals. I was interested in hearing their stories from their parts of the world. Happening in the chat window was a lot of questions. I am not the best at multitasking so quickly captured the questions asked of me so I could respond to them later. 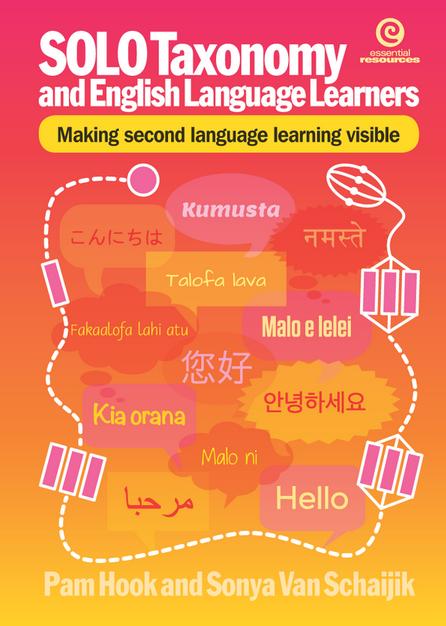 The ones that caught my attention involved teachers of heritage languages wanting to make contact with our Te Reo teachers. So I suggested contacting me via social media and I hope to help them make connections here. I learnt the splot trick from @MissSpeir. So sprinkled purple splots as hyperlinked breadcrumbs throughout my presentation. I have to mention here how Arjana was an inspiration for the #TeachMeetNZ project which is where New Zealand teachers share their passions and learning in 3 minute video clips. In a way too she plays a part in #Edblognz because it was by tagging me in a #Meme that the list of New Zealand educator blogs was curated by @HelenOfTroy01. I took that over and expanded that to include all other New Zealand blogs which was then added to the #EdblogNZ curated site of New Zealand educator blogs which I now help curate with @nlouwrens and @ariaporo22. Thank you Arjana and Bart for inviting me to share our New Zealand teachers learning. To Joe from Canada @Joe_Sheik, Fiona from South Africa @fibeal, Shelly from Texas, USA @ShellTerrell, Karina from Israel @karinam60, Marie-Leet from Belgium @BensBel, and Annamaria from Brazil @anamariacult, fabulous to meet you all. Hearing your stories was inspirational. To all the attendees of the webinair great to meet you all and I look forward to adding you on twitter. Science has been dominating my time this past few months and it has been exciting. @mattynicoll approached me to lead the 24th of February #ScichatNZ and of course I said yes. I know Matt because we were both on the steering committee for #edchatnz and he is one of the teachers joining the #TeachMeetNZ meets #Science session. I enjoy teaching science and learning through the Nature of Science. For those of you interested in learning how to run a twitter chat, I use the #GlobalClassroom training shared with me from @mgraffin. He is an Australian Science passionate teacher that I have met on twitter. I set up a google Doc and divided the hour up with questions. You can see the one I set up for #SciChatNZ here. Matt was fabulous is supporting me by giving me the topic. During the hour chat, I have learnt too from @ussieEDchat the importance of using a graphic for questions as this helps hold the chat together. So I created a presentation of the questions here . I exported the presentation as jpgs and tidied up the images leading up to the session. The session was storified by @NZScienceLearn so do go back and revisit the session. I was grateful for the #SciChatnz team who rallied around me and helped ensure that the twitter chat flowed. In fact it didn’t just flow, it stormed and we trended on twitter. One of the important lessons I learnt from @julielindsay is about keeping a record of the sharing. So I like to see some kind of an archive of chat history. This is something that the #SciChatNZ team do very well. 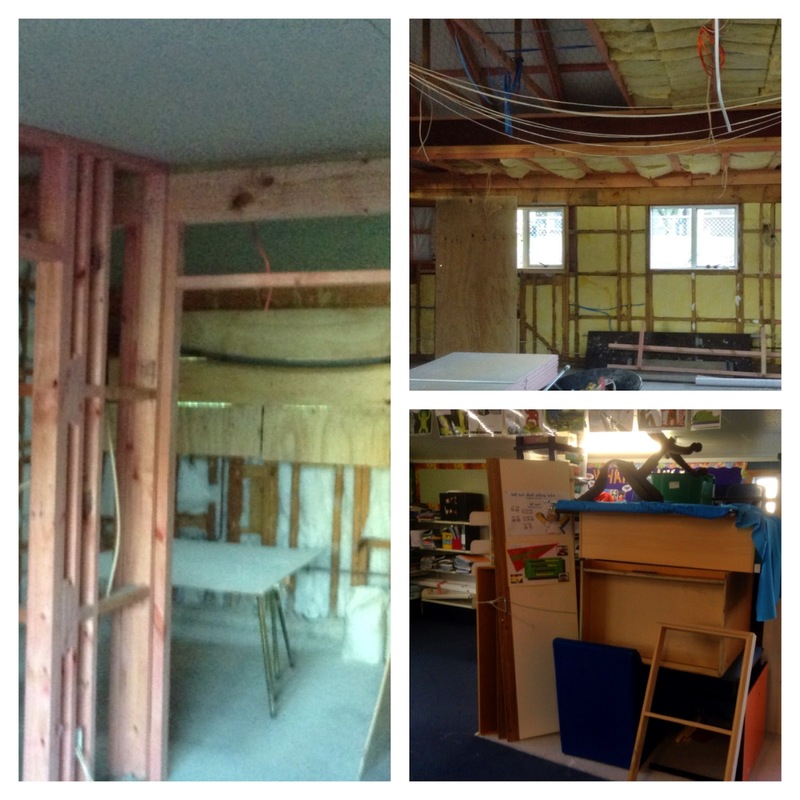 The other big Science collaborative project I was involved in was with Cath @NZScienceLearn. We had been coordinating a #TeachMeetNZ meets Science Session for the 21st of March. You can read more about that here. We had a team of 8 science educators joining us and they are well known in the science education community partly because of their twitter activity and their involvement in various science projects such as #scichatnz and Science fellowship. As part of my collaboration with Cath I was interviewed by Melissa @NZScienceTeachr on behalf of the New Zealand Association of Science Educators. You can read that interview here. My goal this year is to understand how social media works and so I had investigated how everything linked across platforms and how traffic was driven. I observed the TeachMeetNZ youtube channel with interest. Through the work of @abfromz and @BartVerswijvel I stumbled across Thunderclap. I activated a thunderclap to help broadcast the science session and also so I could see how it drove traffic. I set up tickets in Eventbrite and I could see the huge integrations that this site had with Facebook, Twitter and instagram. In addition, I activated my Mailchimp account that had been dormant for a while. I used the TeachMeetNZ meets Science session to play with many of the tools. Science at Newmarket School has many links. In particular the work we did with @S_Heeps. I had @BelindaHitchman join me from School in the TeachMeetNZ session. In addition we had @Doctor_Harves join us at school for a visit. My SOLOtaxonomy thinking hat is excited because I believe that my work with TeachMeetNZ is moving into relational thinking. I am having other educators put their hand up to host a session. Yes I can already see where it needs to go for extended abstract thinking here in New Zealand. But I need a few more strong Google + educators with a working understanding of youtube. Hey Tony, thanks for sharing a viewer’s perspective. The fun is in the connecting and collaborating sessions. Thanks too with your support in Pond, Google + and Twitter. In 1877, Newmarket School in Auckland New Zealand was established on the site where 277 is today. On the weekend I was excited to have our current principal Dr Wendy Kofoed take part in an online discussion about learning with educators from around New Zealand. This discussion will continue throughout October as part of #CENZ14. After the discussion I put a call out to Pam Hook to read what we have so far accomplished as I wanted to ensure that the project is framed by SOLO Taxonomy. Pam flicked me a link to a sceptics log she and a team of creators had made in 2006 and the discussion was the same. In addition she linked me up to Chris Bigum who had been part of that original discussion and he started feeding me readings and video links via twitter. The outcome of all that weekend learning is this reflection. One particular idea that I had read about and awoke with was groundhog day. We are such an old school. I thought of our first school leader, Captain Charles Ross Cholmondely Smith. in his single classroom with his room full of children. The stories I have read about how the children learnt is hilarious. But if we revisit those early days of education, we know that the teacher was basically a coach. They used the older children to teach the younger children who in turn taught the younger ones than themselves. In addition he would have had a team of children leaders who took care of various activities to help with the running of the school, kind of like our student leadership programme. If a child needed extra help they would know who to ask for support. They would only go to the teacher when absolutely necessary because he ruled his classroom in true military style of the time. As the years passed and the school grew and new teachers came in, the process continued with teachers using each other as support. There was no professional development in those days only personal learning. The children would have continued to support each other and most had a job to do to help keep the school clean and tidy because there would have been no school cleaners in those days. This is like how we structure our enviro programme. I was thinking about our current situation with the discussion centred around learning and thought we are moving back to those times not because of circumstances but because it just worked. Teachers are reminded about the pool of learning amongst their peers. Our current head teacher continues to lead by example in her own learning. She in turn guides and coaches her team in their learning, who guide and coach the teachers in their teams with their learning who guide and coach the children in their classes and between classes as we move back to ”it takes a whole school to teach a child,’ and we move back to the notion of a single building on the site where there are no walls and we learn with and from each other. We have a variety of interesting developments happening in our school and this is raising teachers to the surface with their learning. Even more exciting is that they are sharing their learning with each other and several have begun the journey of reflecting in a visible way for our global school community via a blog that you can read on the right hand side. If I have missed anyone, please do send me your link. So in our old grounds, in our old buildings that are being demolished and rebuilt I can hear our head teacher, teachers and children ancestors giggling and watching from the ruins saying, here we go again. And you know what, so what. This teacher with 30 years experience finds it exciting to watch the cycle of education life go around again. Just like I love watching our 100 year old tree go through its cycle of life on a yearly basis, change and grow bigger and better, Just like I love talking with teachers and hearing their learning stories and sharing their learning stories. Even more exciting is the change happening. All photos and stories rehashed from our school archives that you can read about here.